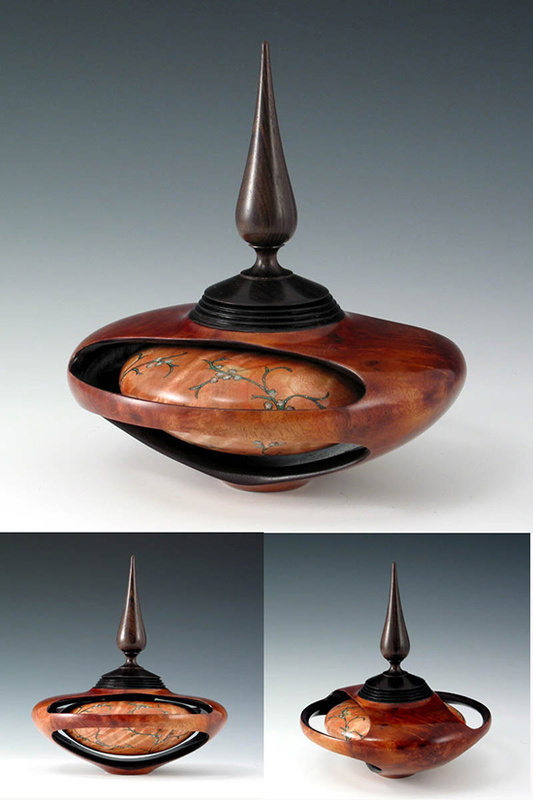 Materials: This is a thin-walled maple hollow form suspended in an outer vessel of camphor burl with removal finial-lid. 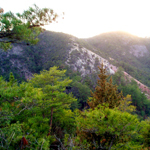 The maple is highlyfigured with a light wash of dye to emphasize a sky-at-dawn effect. The tree is a stylized cherry tree of the Pacific Northwest created with an inlay of mineral crystals and mica. The tall finial is Indian ebony. Finished powdered mica, metal-acid dyes and musical-instrument lacquer. 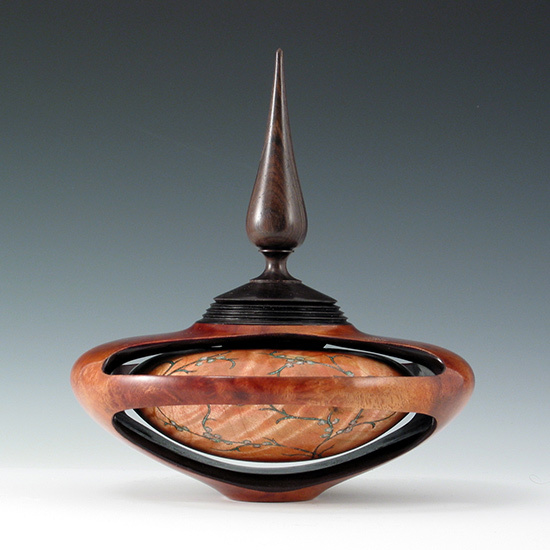 Comment: First Place award at Northwest Fine Woodworking Box and Container Show.